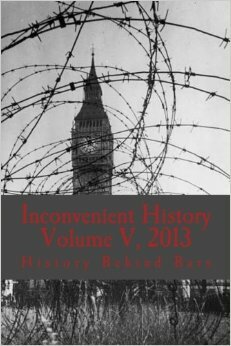 Inconvenient History Volume 6 is now available! More inconvenience for the enemies of truth! 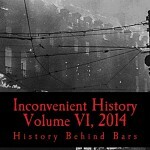 The softbound edition of Inconvenient History Volume VI is now available! Our sixth softbound annual contains 612 pages of cutting-edge scholarship that topples misleading myths of contemporary history by revealing the inconvenient truth of these matters. Inconvenient History Volume VI contains all the content from our 4 issues from 2014. You will receive a softbound book with the Spring, Summer, Fall, and Winter issues of INCONVENIENT HISTORY. 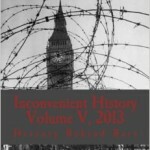 Inconvenient History Volume 5 is Now Available! 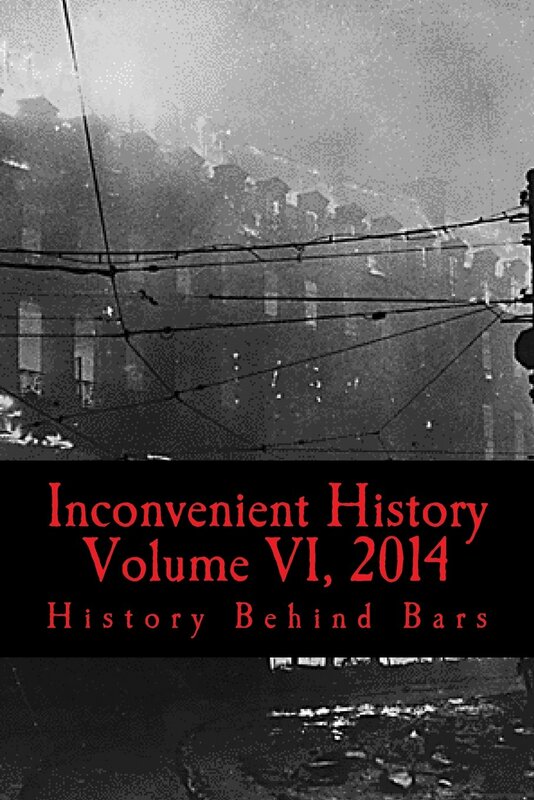 The softbound edition of Inconvenient History Volume V is now available! Our fifth softbound annual contains 516 pages of cutting-edge revisionist scholarship revealing the inconvenient truth on several aspects of recent history. Inconvenient History Volume V contains all the content from our 4 issues from 2013. You will receive a softbound book with the Spring, Summer, Fall, and Winter issues of INCONVENIENT HISTORY. 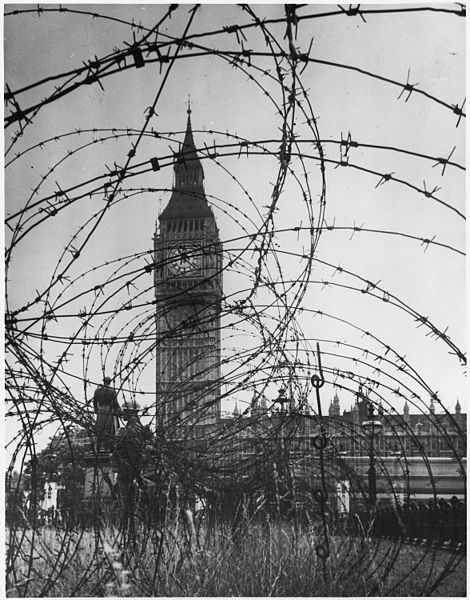 London’s Big Ben behind barbed wire, as if time itself were imprisoned. 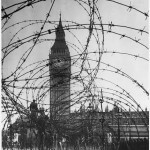 Inconvenient History is an on-line quarterly journal dedicated to the free investigation of historical matters of the 20th and 21st centuries. Providing our journal for free to readers via the Web helps us to expose myths and falsehoods of our recent history to the greatest number of people. For those who prefer to own hardcopies of our journal, or to simply support Inconvenient History financially, we offer softbound annual editions for sale. We now have four annual volumes available starting with Volume 1 which collects all of our issues from 2009 up to Volume 4 from 2012. Each volume is a virtual encyclopedia of myth-busting articles, commentary and reviews. 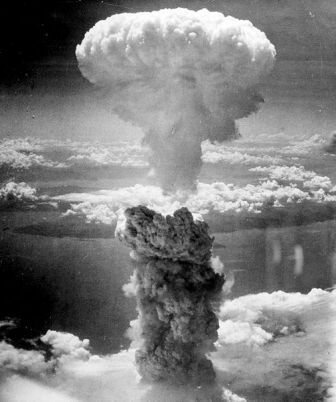 Atomic bombing of Nagasaki on August 9, 1945. An immortalized, abstractive image. Inconvenient History is now in its fifth year of publication. 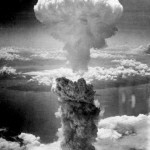 We have published over 128 articles of hard-hitting historical truth. Clearly Inconvenient History (IH) is here to stay, but we can really use your help. Thousands of people read IH but very few contribute. Years ago the only way we could publish would be through hardcopy subscriptions. Subscriptions cost money, and for small publications such as ours we likely need to charge between $50 and $60 for an annual subscription. But we have chosen Internet publishing instead. The advantage is that we can reach the largest number of people. And we do so without charging a dime. For IH to continue to grow and provide the type of historical research you can’t find elsewhere, we need your assistance. The hardbound edition of Inconvenient History Volume 2 is finally available. This beautiful hardbound book contains 598 pages of hard-hitting revisionist scholarship revealing the truth on several inconvenient moments in our recent history. Inconvenient History Volume 2 contains all the content from our 4 issues from 2010. You will receive a hardbound book with the Spring, Summer, Fall, and Winter issues of Inconvenient History. This volume is jam-packed with hard-hitting revisionism. You’ll get Thomas Dalton’s Goebbels on the Jews, Carlo Mattogno’s The Truth about the Gas Chambers, Paul Grubach’s Non Jewish Stake in the Holocaust Mythology, Joseph Bishop’s Atomic War Crimes, Thomas Kues’ Evidence for the Presence of “Gassed” Jews in the Occupied Eastern Terrorities, Carlo Mattogno’s Origins and Functions of the Birkenau Camp, Joseph Bellinger’s The Lethal Liberation of Bergen-Belsen, Thomas Kues’ A Chronicle of Holocaust Revisionism Part 3 (1956-1960), Paul Grubach’s Christianity, Judaism and German National Socialism: Revisionism Confronts the Theology of Susannah Heschel, Joseph Bishop’s Katyn: Unanswered Questions, Frederic Freeman’s Going Underground: ‘Catacomb Revisionist’ and Revisionist Repression, Thomas Kues’ Halfway between Reality and Myth: ‘Hitler’s Ten-Year War on the Jews’ Reconsidered and Jett Rucker’s Joe Sobran: Relegated Champion. But that’s not all! You’ll get all of our challenging editorials, groundbreaking book reviews, commentary and our popular Profiles in History series. 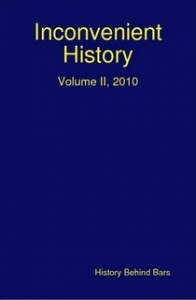 Inconvenient History 2009 Hardbound Annual now available! The hardbound edition of Inconvenient History Volume 1 is finally available. This beautiful hardbound book is 296 pages of hard-hitting revisionist scholarship revealing the truth on several inconvenient moments in our recent history. Inconvenient History Volume 1, contains all the content from our 3 issues from 2009. You will receive a hardbound book withthe Summer, Fall, and Winter issues of Inconvenient History.